The mission of TFAS, its board, staff and our thousands of supporters is to change the world by developing leaders for a free society. TFAS offers transformational programs that teach the principles of limited government, free-market economics and honorable leadership to students and young professionals in America and around the world. TFAS programs inspire these future leaders to make a difference in their communities and throughout the world by upholding the values essential to the preservation and success of a free society. The vision of The Fund for American Studies (TFAS) is to win over each new generation to the ideas of liberty, limited government and free markets. TFAS was founded in 1967 by Charles Edison, former governor of New Jersey, secretary of the Navy and son of inventor Thomas Alva Edison, in response to the counterculture of the time. 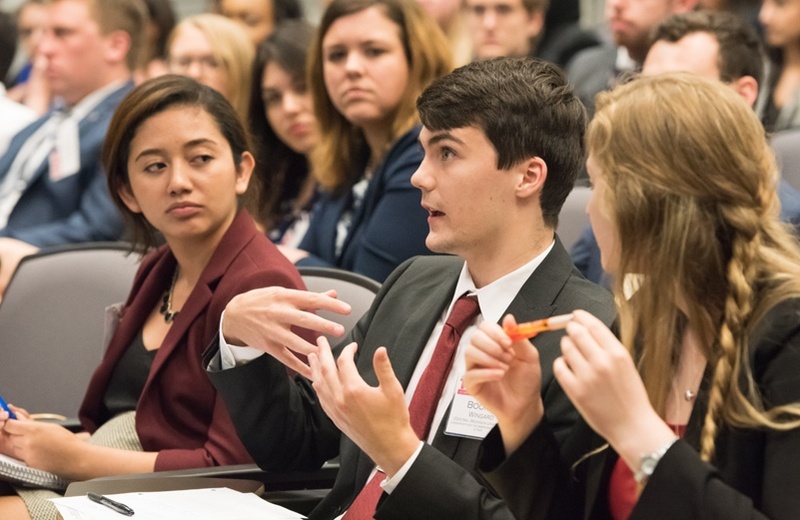 TFAS sponsors seven institutes for undergraduate students, including the lnstitute on Political Journalism (IPJ) established in 1985 to teach journalism students about American political thought, democratic capitalism, and professional ethics. Operating as both a summer and semester-long program, IPJ consists of classroom work, internships, and guest lectures. IPJ also holds regular conferences around the country to extend its reach to ambitious journalists, recognizes outstanding contributions to print journalism and economic reporting, and conducts a continuing education conference program for its more than 2,000 alumni. TFAS supports multiple fellowship programs, including the Robert Novak Journalism Fellowship Program (JFP). Since 1994, JFP has awarded nearly 150 full and part-time fellowships to serious and enterprising young writers who are then mentored by experienced journalists. Past recipients have secured positions at national media outlets, including Steve Hayes and Matthew Continetti of The Weekly Standard, Bradley Prize winner Clint Bolick, and Encounter Books author Naomi Schaefer Riley of The New York Post. The lnstitute on Political Journalism established by TFAS has more than 2,000 alumni.